We’re excited to announce that iCab, a leading mobile browser for iOS, has been updated with LastPass support! With iCab’s update to 7.2, available for $1.99 from the App Store, LastPass Premium users can now enjoy direct integration with the browser, with the ability to save new sites, fill logins stored in LastPass, and fill forms with LastPass profiles. 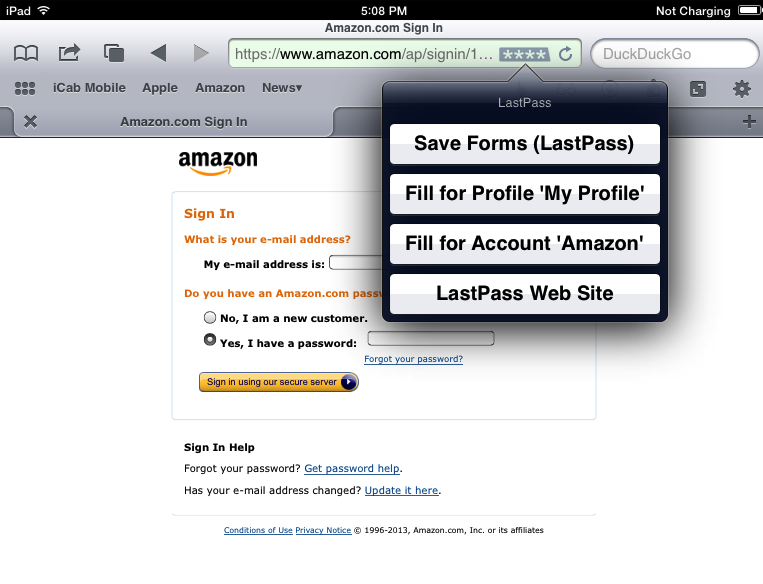 When you launch the browser, you can login and out of your LastPass account from iCab’s settings (the gear icon). The LastPass icon will then show in the iCab URL bar, which is actually a clickable menu. From the menu, you can save a new site, fill a form with an existing profile, fill a login saved in LastPass, or launch the LastPass.com site. and More: With a unique “Scrollpad” for instant scrolling, a password lock option, Dropbox support, and more, iCab is a full-featured browser that’s worth checking out! And now with LastPass, you’ll be able to enjoy easy access to your stored data while taking advantage of iCab’s unique features. iCab is available for $1.99 on the App Store for iPhone, iPod touch, and iPad with iOS 5.1 or later. 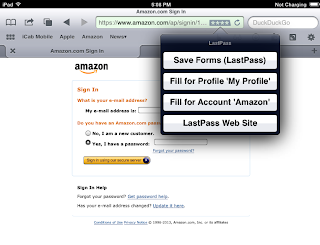 Use of LastPass on iCab requires a LastPass Premium subscription. For $12 per year, LastPass Premium unlocks access to all mobile apps and features, plus added security and portability options. Premium also supports the ongoing maintenance and development of the service. Note that multifactor authentication is not currently supported on iCab. If you have multifactor authentication enabled on your account, and have restricted mobile login, you’ll receive an error that the device is restricted. Lock that computer - and your phone. Have you secured your devices, both physically and digitally? Most devices come with an auto-lock feature, requiring that you re-enter your password or pin code (avoid birthdays or other personal information). Also physically lock down your computer by investing in a cable lock, which allows you to secure it to a desk, reducing the chances of theft. Keeping your friends updated and sharing memories via social media may seem like second nature these days. But what you share could tell someone too much - such as indicating when you’re not at home, making you a target for burglary. Be sure you’ve set the appropriate privacy settings on your accounts, and be mindful of the data points you share. Your email account will be the hub of your college experience. Think of all the sites and services you use that email address for, and the network you’ll build with it. Never share your email password with anyone - and we mean anyone, including close friends. Use a unique password, and if it’s available, enable multifactor authentication for your email account. Generate & protect your passwords. Speaking of passwords, ensure that all of your passwords are strong, unique, and known only to you, by using a password manager like LastPass. 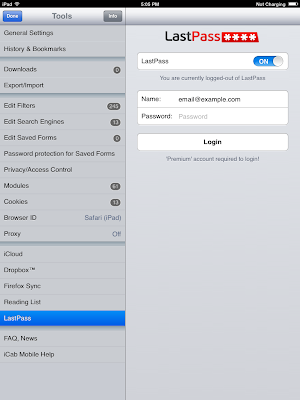 LastPass helps centralize the management of your passwords to one easy-to-use vault. It will also help you generate a mean-looking password when signing up for a new account. It’s free - and you’ll be surprised how many accounts you’ll accumulate over the years, so start now. Shutting down your browsers, and your computer itself, will initiate most automatic updates for your computer. But those annoying pop ups and messages from your task bar? We recommend responding to them when they appear. The updates include important fixes and improvements - sometimes addressing serious security issues, so don’t put off responding to them. Limit your activities on open WiFi. Free WiFi is your lifeblood in college. Even if your campus’ network itself may be password-protected, you never know who’s on the network with you. Limit your access to sensitive accounts (such as banking) when you’re on these networks. Consider using a VPN when you’re using open WiFi as well, which will allow you to surf anonymously and lock down your connection. Although we’re all about being proactive and managing risk, sometimes bad things happen. The best thing you can do is prepare for that loss - of your computer, your smartphone, any of your gadgets. Backup your documents and photos on a regular basis. Look into installing software that lets you remotely access your computer or phone, so you can wipe it if needed. Also look into software that lets you track your lost device, so you have a greater chance of recovering it. Set your computer to auto-lock. Set your smartphone’s pin code. Invest in a cable lock. Err on the side of caution when sharing online. Set appropriate privacy options, so you’re only sharing with friends. Use a strong password for your email account. Don’t share your email login with anyone. Look into security features available for your email account. 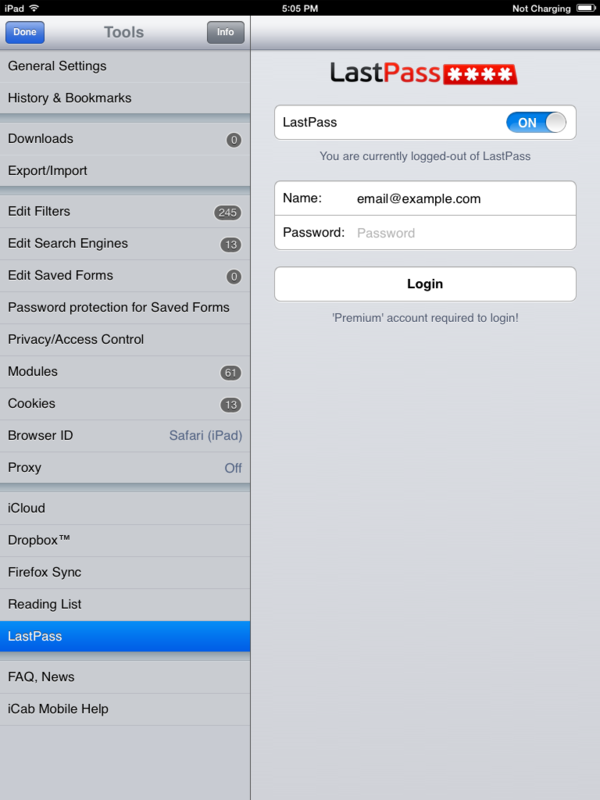 Use a password manager like LastPass to manage your accounts. Generate unique passwords to avoid password reuse. Respond to all prompts to update your software. Restart your computer occasionally to ensure updates are completed. Use a VPN if you need to access personal accounts on open WiFi. Be mindful of the connection you’re using and what you’re doing on that connection. Install tracking software on your computer and smartphone. Enable remote wiping of your device, if possible. Back up everything to an external hard drive, regularly. And last but not least, redeem your free Premium credit here: https://lastpass.com/edu once you’ve signed up for LastPass. LastPass Premium gives you full access to our mobile apps for smartphones and tablets, as well as additional security and productivity features.